Understand the requirements to gain exclusive access to Advanced Market Data. This is only available for Singapore and Hong Kong markets. For Singapore market: Accumulate online commission fees of SGD 100 per month, or SGD 300 per quarter in SGX trades for SG market. For Hong Kong market: Accumulate SGD 500 per month or SGD 1,500 per quarter in HKEx trades for HK market. Click Next on the Online Equity Trading page. Select Trade from the sub menu, then select Advanced Market Data. 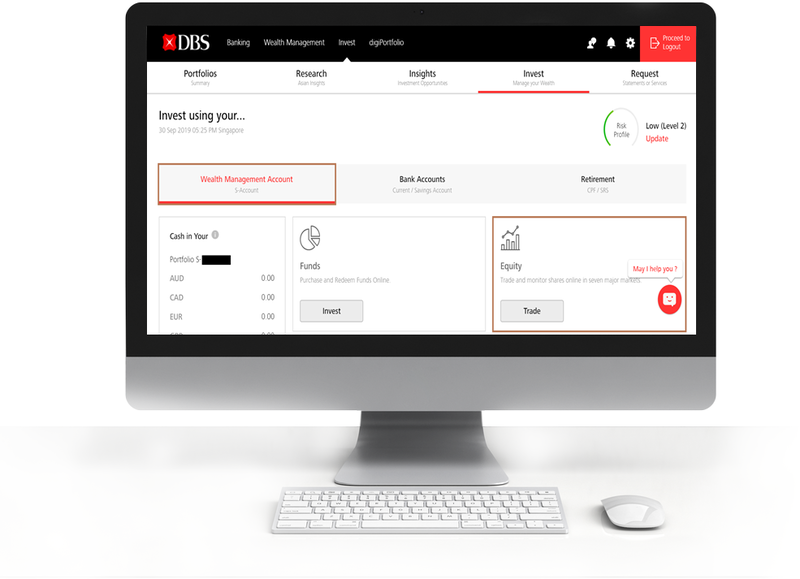 Trade Distribution: List all transactions in real-time, sorted by transacted price. Bid & Ask (Market Depth): View up to 10 levels of Bid and Ask prices and monitor prices on both the Buy and Sell sides. Times & Sales: View a record of all transactions made; transactions with values of more than $100K are highlighted for easy reference.